If you are planning to study Mathematics in college, you may be eligible for additional scholarships! Here we’ve put together a list of Best Mathematics Scholarships for International Students which will help you to afford your college cost. Apart from giving you an opportunity to actively contribute to this great diversity, these scholarships in mathematics will help you to develop your analytical and logical thinking. If you are looking scholarship that will help you to join the undergraduate mathematics program then look no further.For the academic year 2019-2020, the University of Edinburghis giving a chance to apply for a scholarship tostudents of outstanding ability from countries outside the European Union.The scholarship worth is £ 1,000, £5,000 or £10,000 per year. Roger Helm Scholarship is available at the University of Canterbury. The scholarship is open to students who are citizens of New Zealandwho want to postgraduate in Pure Mathematics at the university. The Scholarship will be awarded worth up to 5000. For the UK, EU, and Overseas Countries students, the University of Dundeeis offeringGlobal Excellence Undergraduate Scholarships. Students have the opportunity to win £ 25,000 for up to 5 years to pursue their undergraduate degree program. Masergy Company is pleased to announce you a STEM Scholarship Program. For this scholarship, students have to follow a full-time study program, and to major in science, technology, engineering or mathematics. The amount of this scholarship is $5,000. AISES A.T. Anderson Scholarship is available for American Indian Science and Engineering Society. This scholarship is open for students who must be a full-time undergraduate or graduate student at an accredited two-year or four-year college/university for the 2019-2020 academic years.The total award amount of this scholarship is $3000. Eligibility:Must have a 3.0 or higher cumulative GPA. 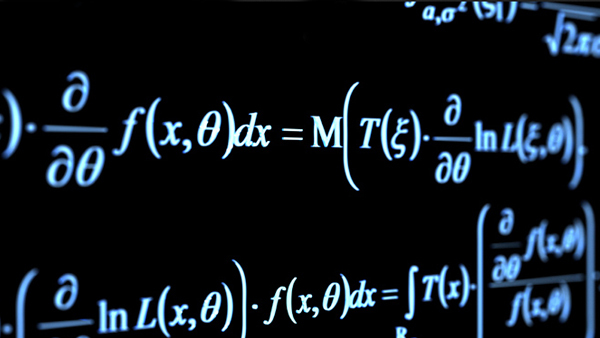 Edinburgh Global Undergraduate Mathematics Scholarships is open for Mathematics students of outstanding ability from countries outside the European Union for the academic session 2019-2020.These scholarships are worth£ 1,000, £5,000 or £10,000 per year. AfterCollege, Inc. is offering its STEM Inclusion Scholarship for currently enrolled students working toward a degree in a field of Science, Technology, Engineering or Mathematics from a group underrepresented in their field of study.AfterCollege has awarded more than $1,000,000 through its scholarship program. The University of Strathclyde is delighted to announce its Faculty of Science Postgraduate Elite Scholarships. This scholarship is open for students studying on MSc/PGT programs in Science. The award amount of this scholarship is £4000/£3500 and £3000/£2500 for students studying on MSc/PGT programs in Science. Albuquerque Community Foundation is delighted to announce the Woodcock Family Education Scholarship Program. This program is open for students who must enroll as full-time students in a college or university. This scholarship will be awarded $10,000. At Swansea University, College of Scienceis now inviting a student’s of its Taught Master’s Scholarships. These Scholarships are available for UK/EU students. Its every scholarship is worth £2,500, to be used towards the cost of tuition fees. SCU International Women in STEM Scholarshipis available for new female international students at the Southern Cross University. The university will be awarded $5000 through this scholarship. The Université Paris-Dauphine, a member of Paris Sciences etLettres (PSL) University is happy to provide Scholarships of Excellence for Master’s Degrees. This scholarship is open for international students. The scholarships provide up to 15,000 euros gross per year. At the University of Waterloo, the Department of Applied Mathematics offer Funding and awards. This award is available for students who are enrolled in Ph.D. and Master’sprograms normally receive financial support during the course of their graduate studies. It isoffers up to $10,000. Science International Scholarships for Undergraduate and Postgraduates is provided by the Faculty of Science at the University of Queensland. The program is open to international students who are enrolling in undergraduate or postgraduate coursework degree programs. This scholarship is awarded $3,000. Eligibility:Any, other than Australian citizens and permanent residents. The Queensland University of Technology is pleased to offer its International Merit Double Degree Scholarship. This scholarship is open to international students. This scholarship is to cover 25% of your tuition fees for your first two semesters of study at QUT. Need help with studying abroad? or need a scholarship? Schedule a no-cost consultation today! We help students around the world with their college applications and related scholarships. With us you can apply for college admissions and we’ll help you apply for all available scholarships with that.